Xerocon attendees, listen up. Following the announcement of Discuss during Xerocon, we’re kicking off a pilot to let you, our valued accounting partners, explore the feature with your clients first. You and your clients can easily create context by linking and commenting on the item. You and your client can also link other related items for easy cross-referencing.It makes it easier for you to tackle the task there and then. To give you an example – your client needs you to update their invoice for a balance in Xero after a partial payment has been made. It’s easy to do that now with Discuss. Your client starts a discussion including their request, linked to the updated invoice, clicks ‘send’ and you can get on with fixing up the request. Often times queried items need to be categorised and you need to make sure compliance needs are met. Chasing those details can take time and cause deadlines being pushed out or missed. Clear collaboration with Discuss helps you maximise your efficiency by making sure you and your client are both talking about the same thing. It’ll help you make the best use of your billable time and make room for providing valuable business advice to your client. Another bonus of Discuss is that it’ll speed up discussions and lower errors made by clients through simple communication. 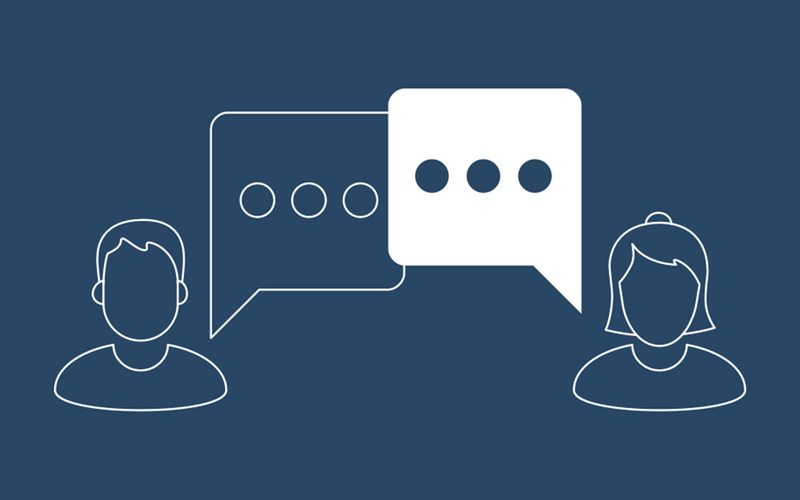 By enabling your clients to request and receive help when they need from within Xero, Discuss can help improve the reliability and accuracy of financial information. This means better data for you and your small business clients to base decisions on. But don’t feel pressured – should you receive a query from a client and not know the answer, you can add a colleague to the discussion and let them answer the question or give advice. Anyone who is part of the Xero subscription that your client uses to run their business with can easily be added to the discussion. First we need you to pick a small number of clients you’d like to use Discuss with – we’re putting you in the driver’s seat and want you to decide which of your clients you’d like to trial Discuss with first. You’ll just need turn the feature on for those clients and tell them about what you have planned. See our Help Pages for how to set up Discuss. Send your clients the following blurb and talk them through how they can use Discuss with your practice. Xero has kicked off a pilot for a new collaboration tool – Discuss. We’d love to trial the feature with you as one of our first clients. Discuss is a new collaboration tool that you can use to discuss queries with your advisor directly from within Xero. The idea is to use Discuss with many of the things you work with on a day to day basis in Xero: invoices, bills, contacts, quotes, purchase orders, bank transactions and URLs (links) within Xero. It’ll allow us to easily create context by linking what you’re enquiring about to the discussion. And it’ll make it easier for me to tackle the task there and then. Check out Xero’s help pages to get a view of what you can do with Discuss. Let’s catch up at some stage so I can talk you through it. What date and time suits? Click the Discuss icon on the Dashboard. Click New to start a new discussion. Click the plus icon to add users you want to send the message to and notify. Select the staff member within your advisor’s practice you want to have a discussion with and click Save. Enter your message into the comment field. Click Comment to send message. As soon as a discussion thread has been resolved we’ll remove the comment to keep things tidy, and archive. The pilot phase is all about your feedback. We’d like for you to get a good feel for the feature and explore how you can collaborate with your clients in Xero. We’re looking to collect your thoughts so we can meet your needs and get it into its best shape for when we open it up to the rest of the world. We want to hear what you love about Discuss, what you don’t, and what we can do to improve it. Which functionality in Discuss are you missing that prevents you from working effectively with your clients? And how will you use it within your practice with your colleagues? But remember, Discuss isn’t intended to replace all other collaboration tools that you and your client have established. Instead, it’s a way to offer your client support directly from within Xero, which helps to quickly resolve any day-to-day questions your clients might have. Make sure you send your feedback to discuss.feedback@xero.com. We’ll be sending out a survey in the new year to collect further feedback. Read more about the setup and functionalities of Discuss on our help pages.